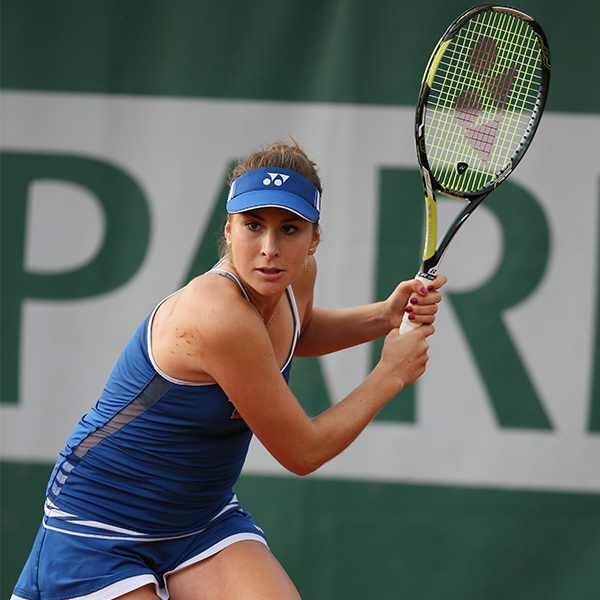 APIA INTERNATIONAL SYDNEY, Jan. 12, 2016 – Belinda Bencic is only 18 years old, but last year, the Swiss was already rising fast and she managed to beat the unthinkable Serena Williams and the super steady Simona Halep to win Toronto. However, even when she was only 17, she felt like she was pretty much right there and able to compete with the best. She has tremendous variety, she has beautiful strokes, she is fairly strong and she can be ambitious. She can get mad – very mad during a bad day when can’t keep the balls inside the court – but she keeps improving and seems to listen to her parents and coaches. The former junior champion came right out of the box. On the start of 2014 season, she was ranked No. 187 and then she moved quickly. She qualified at the Aussie Open, and lost to the now-retired Li Na. She qualified in Charleston, reaching the semis after she stunned Sara Errani in the quarters on green clay. At the US Open, she shocked Angie Kerber and Jelena Jankovic before she lost against Shuai Peng – quickly. She could get tired at times, winning a few terrific matches and then falling because she couldn’t run at her fastest. But she was young and, eventually, her body would get stronger and stronge, As long as she is working out, she wouldn’t be exhausted unless she had to play for multiple hours. Last January she was ranked No. 33 but she couldn’t get going for the first five months. She did nothing at all, on hard courts or on clay. But then once she got on grass, she decided that she would be more consistent, more aggressive, more patient and lethal. She reached the final of Netherlands, she won Eastbourne and then she lost against Victoria Azarenka in the fourth round at Wimbledon. She won Toronto, beating Genie Bouchard, Wozniacki, Sabine Lisicki, Ana Ivanovic, Serena and Halep. She lost to Venus Williams in the third round at the US Open, but she did reach the final in Tokyo. Her legs were strong and she could mix up her attack. Then, everyone knew she could really play. But, in Beijing, she had to retire with a hand injury. She wanted to continue and reach the WTA Finals, but she couldn’t. However, she became healthy during the off-season and with the start of year, she said she is feeling wonderful. Maybe Bencic will reach the top 10 very soon. But, as she said, she doesn’t want to think about – yet. Bencic laughed that the only good thing about Australia in 2015 was thatshe doesn’t have to defend the points because she couldn’t win anything, meaning there won’t be any pressure on her this year. But if she goes super deep in the next two and half weeks, everyone will pay attention again. In Sydney, she has to face Ekaterina Makarova in the quarterfinals – a very tough match – perhaps against the Aussie veteran Sam Stosur in the semis, or maybe against No. 2 Simona Halep or the tall and rising Katarina Pliskova in the final. If Bencic wins that title, the pressure will be intense once again.